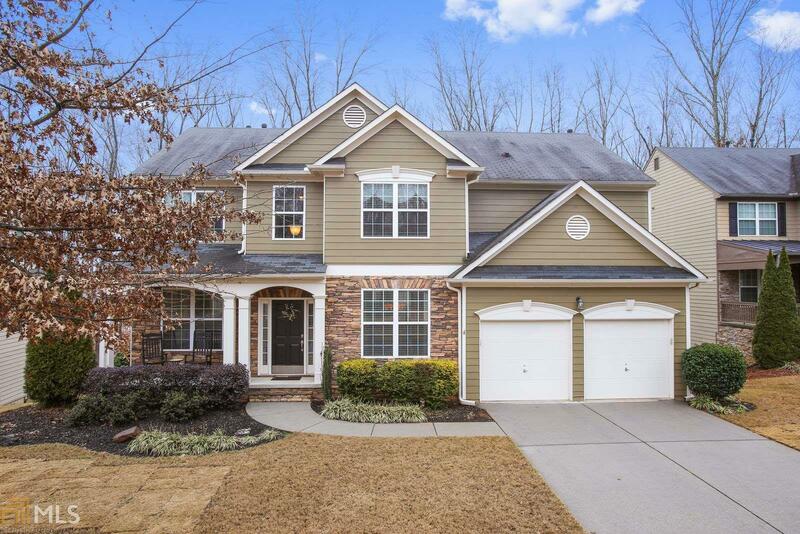 Beautifully finished home located in sought after Madison Falls Subdivision on a wooded lot, right by the cul de sac. Home features an open floor plan, wide plank hardwood flrs, granite counter tops. Double height ceilings in living area w/ fireplace. 1st-floor w/ separate office, dining room, one full bedroom & full bath. 2nd floor w/ 4 bedrooms! MBR w/ en suite bath, soaking tub, dual vanities and walk-in closet. The finished basement has the comfiest family room and loads of storage! There is also a bedroom, full bath, exercise room & storage room! Seller has created sep. insulated workshop too!